When I decided to read books published in 1967 I was hoping for a mix of those I had read before, those I had long wanted to read, and perhaps a new discovery or two. In the latter category I was primarily hopeful of placing writers I had only vaguely heard of – or perhaps not even that – and didn’t really consider the possibility of unearthing something by a writer I thought I knew well which was new to me. Yet, despite having been familiar with Carlos Fuentes work since the late eighties (The Old Gringo was my introduction), a little research revealed that he had indeed published one of his lesser works in that year, the novella Holy Place. Though never granted a UK publication, it had been translated by Suzanne Jill Levine in 1972 and I quickly set about getting a copy. (It’s also available in Triple Cross alongside novellas by Jose Donoso and Severo Sarduy, and in a volume with a second novella, Birthday, published in 1988). Just as Claudia neglects Guillermo, so he neglects the dogs, before eventually becoming one (as revealed by both the back and front cover). Holy Place is not a neglected gem but is an interesting detour for those already acquainted with Fuentes’ work. Though ten years into his career, it shows him experimenting both with layering Greek myth onto contemporary satire and using elements of Manuel Puig’s cinematic novels (long sections made up of only dialogue, for example). His portrayal of a movie star still rings true, though I found the Oedipal undertones less interesting. Guillermo’s obsession also makes it difficult for other characters to come to life. One for the completist. 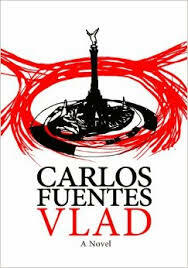 You are currently browsing the archives for the Carlos Fuentes category.